I think this is #5. I decided to play with pebbling. Love the sun's effects here. Bag front lower panel quilted with Sulky Blendables thread 12 weight - love it. 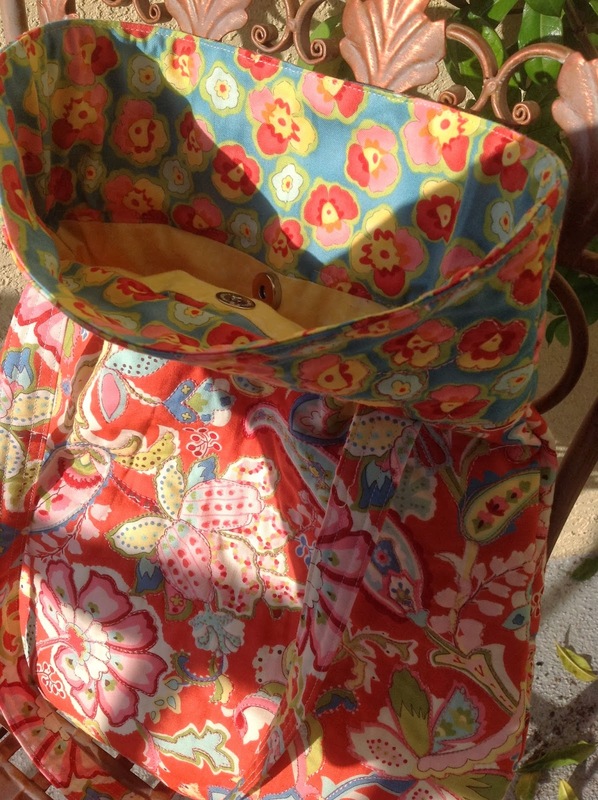 As I was working on this bag, I was thinking, "Why did I wait so many years to make this pattern? I picked it up in 2007 in a quilt shop somewhere in Oregon. 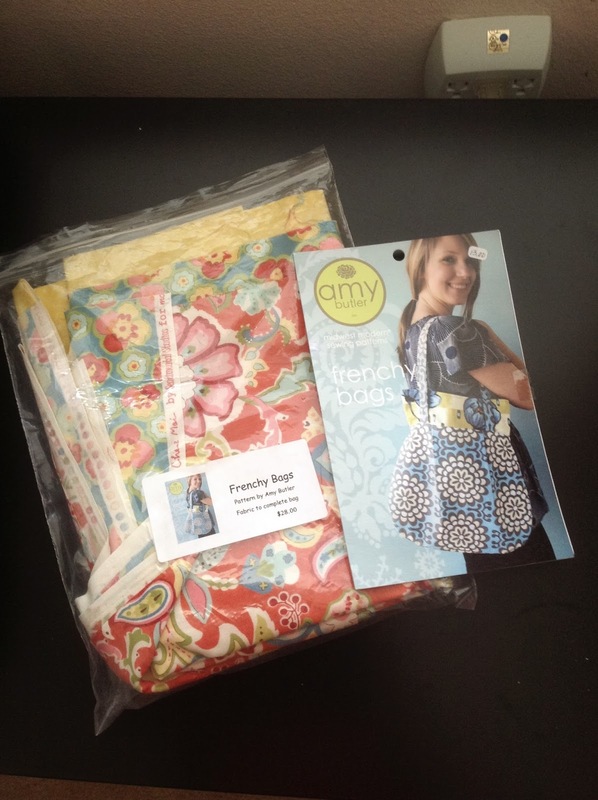 I'd bought the kit, as I loved the fabrics so much. 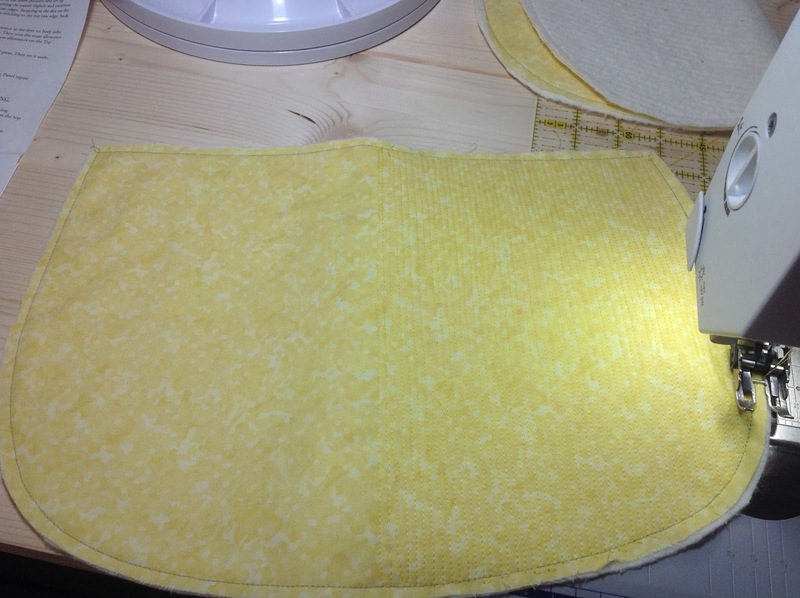 Everything was there, including the magnetic snap, except for the heavyweight sew-in interfacing. I bought some at the time; however, I did not like how stiff it was, and I decided I didn't want a cardboard look to this bag. So I mulled it over. And over. Uh huh. 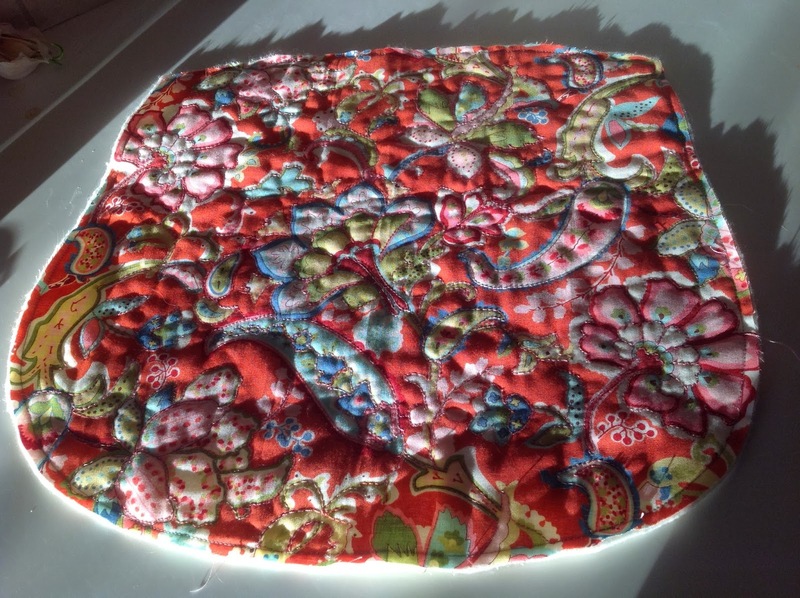 When I pulled it out last week, I thought why don't I quilt it onto a piece of Warm 'n Natural? That will give it some shape, but retain softness. So that's what I did. And I love the way it turned out. I think I went a little overkill on those yellow pockets. 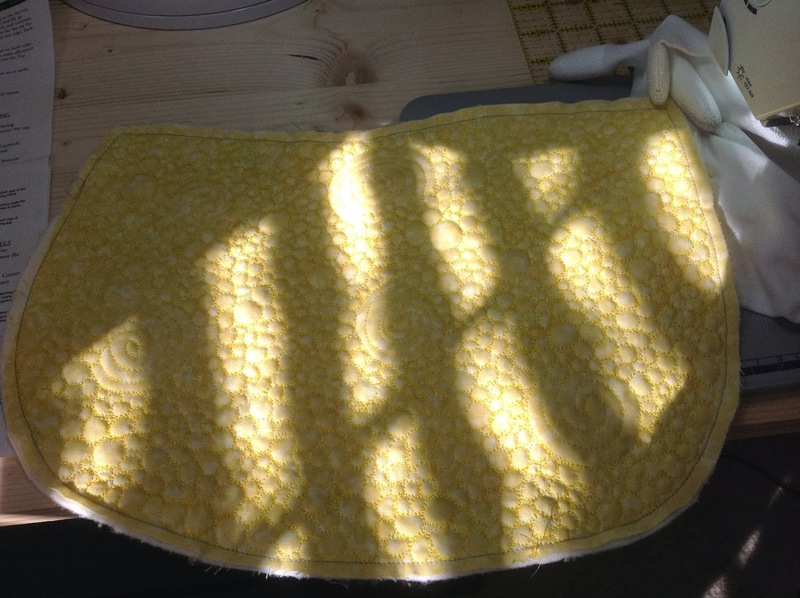 No one will see ALL that quilting unless I show them. But I had fun! I stitched the matchstick quilted pocket down the centre so it makes two narrow pockets on that side. I do like how the top panel lining matches the front top panel. 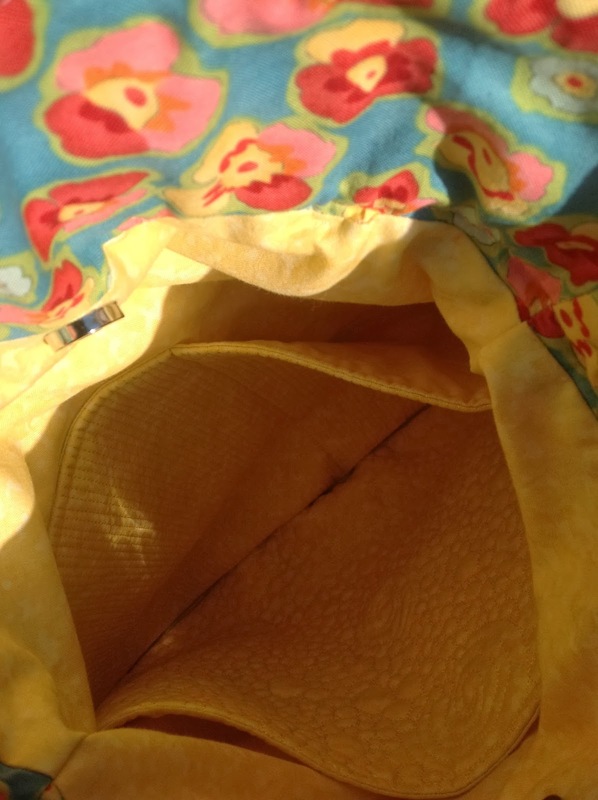 It's also interesting that she has you put the snap where the two lining fabrics meet, as opposed to near the top of the bag. It was pretty simple to construct. 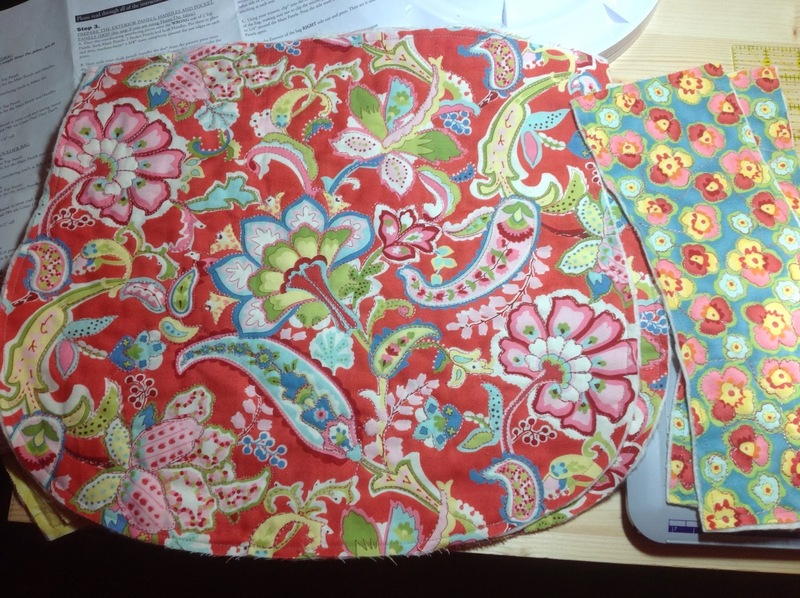 If I did another, I wouldn't bother with the interfacing or cotton batting in the pockets. We are meeting some good friends tomorrow for lunch, so I plan to use it! Oh WOW, just love it, LOVE it!! Looks amazing and allllll that pebbling etc, holy cow, what a lot of work! 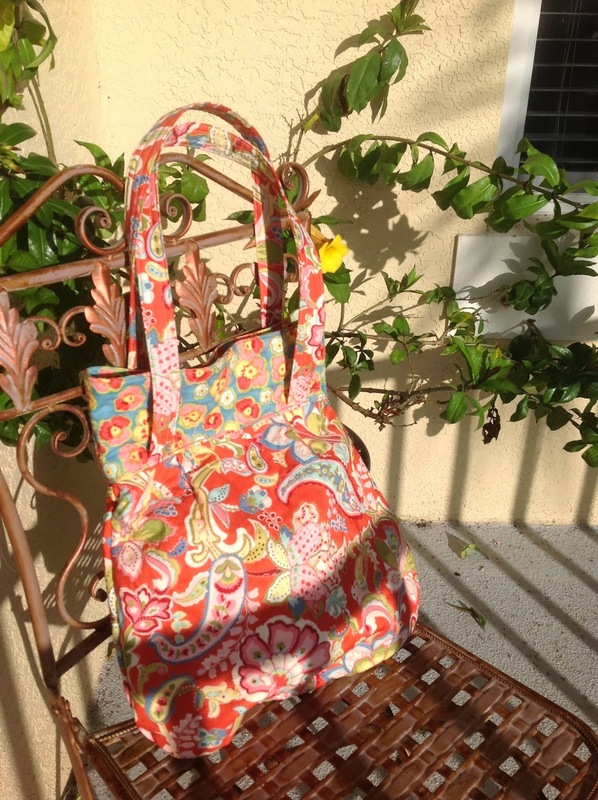 Looks like such a versatile bag, and so soft and flexible. 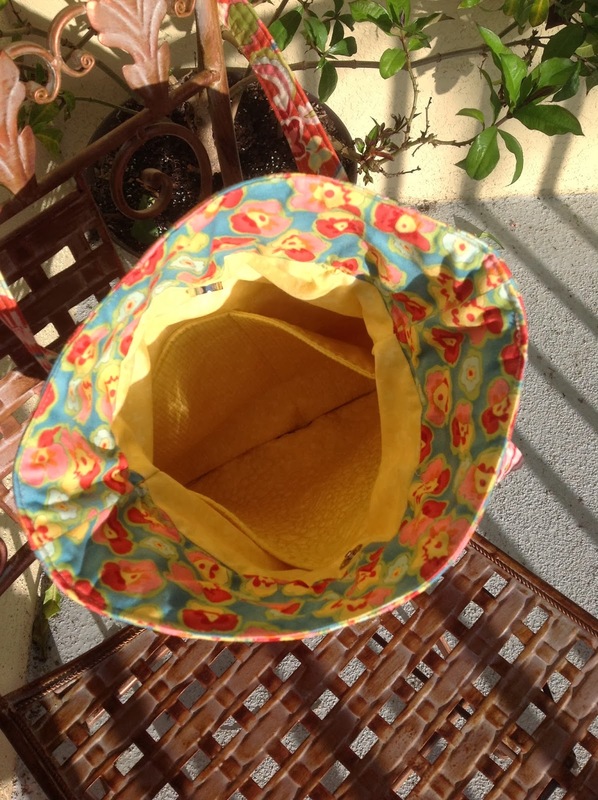 You should make multitudes of these - sell them as beach bags, diaper bags, purses, etc. You'd make a MINT!